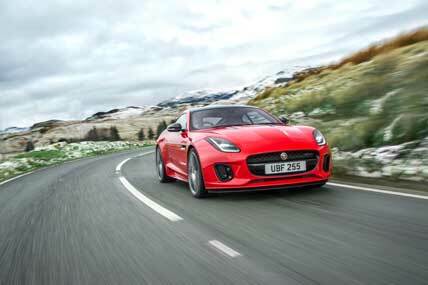 New Delhi: Jaguar Land Rover India has broadened the appeal of the F-TYPE with the introduction of the state-of-the-art four-cylinder Ingenium petrol engine. The award-winning F-TYPE now spans from the entry-level four-cylinder model to Jaguar’s 322 km/h, all-weather supercar – the F-TYPE SVR. The all-aluminium sports car with the 221 kW 2.0 l turbocharged petrol motor delivers Jaguar sports car DNA with enhanced agility and improved efficiency and affordability. The Ingenium engine contributes to an overall vehicle weight reduction of 52 kg – most of which is over the front axle – and this is key to the four-cylinder F-TYPE’s enhanced agility. Meticulous tuning of the chassis to complement the new engine delivers even greater steering response, body control and ride comfort. A finely-tuned active exhaust is standard on entry-level F-TYPE models, while the R-Dynamic variants feature a switchable active exhaust for an even more involving driving experience.